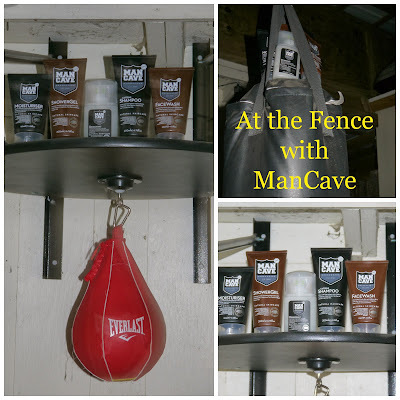 At the Fence: Where's Your Man's ManCave? I just had to share these products with you. I am so excited about the opportunity to give to either my husband or one of my sons. 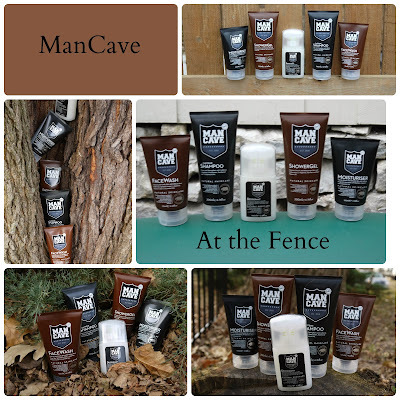 The ManCave products smell great and are natural. So of course our pictures reflect that! Caffeine has strong anti-inflammatory and skin stimulation properties which will help reduce puffiness and redness to the skin. Further suggested claims are of regeneration (anti dullness & fatigue) to the skin and unconfirmed reports that caffeine applied to the skin is anti-cancerous when exposed to sunlight. Whilst moisturising/doing wonders for the skin, caffeine also performs miracles in Hair Care, acting as a stimulant for hair growth and the strengthening of roots. 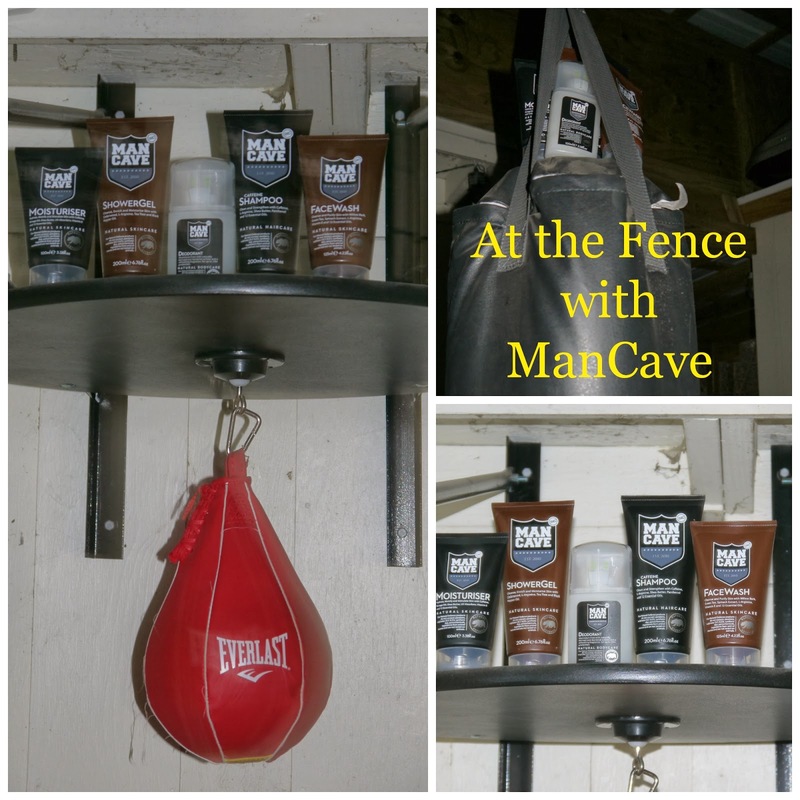 Use ManCave anytime! Working out, canoeing, or whatever your day may bring use ManCave. What a GREAT gift idea! 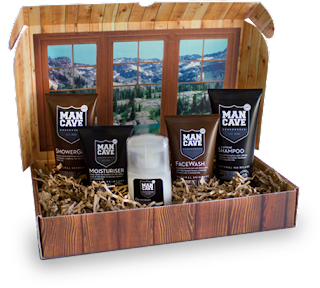 You can purchase gift sets right on the ManCave website. You can get the Originals Set ($55) or purchase a Bucket of products! ManCave has an entire regime using the ManCvae products of skin care for men. We received the Moisturizer, Face Wash, Caffeine Shampoo, Shower Gel and Deodorant. These products are priced from $8.50 - $17. We suppose the ManCave recipe for success could be summarized as follows: first start with a natural active ingredient, such as the effective amino L-Arginine. Follow up with 12 essential oils, then complete each product with a signature key ingredient, ranging from Caffeine, Panthenol, Shea Butter, Borage Oil to the captivating scent of Cedarwood. 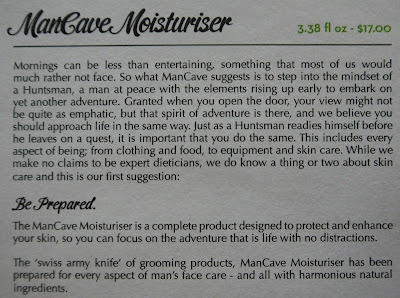 But in truth, the ManCave journey to triumph was much more comprehensive; a two-year painstaking development process, focused on replacing man-made chemicals with a precise amalgamation of natural ingredients where even distinctly possible - all while using the most sustainable sources of production. No mean feat indeed. 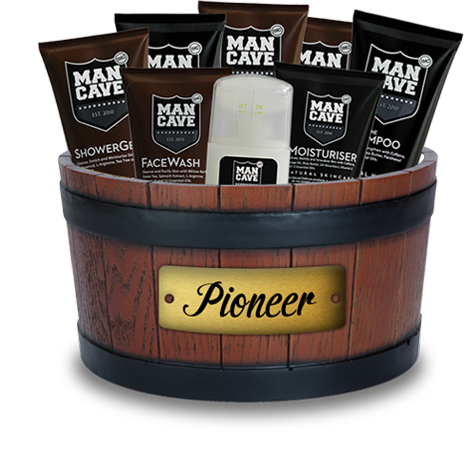 Consider purchasing a nice set of ManCave products for your man! Thanks for stopping by and see you soon At the Fence! Be sure to follow their social media pages! 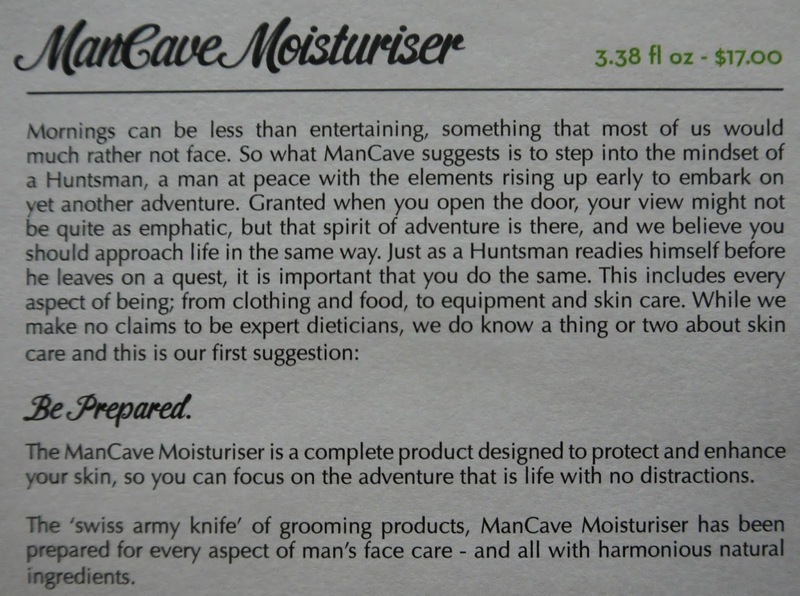 a great marketing idea to make "man cave" products. easy gifts!